Home > Archive by category "Bankruptcy"
A recent study examining multiple cities revealed that mortgage delinquency rates and foreclosures in Iowa are steadily declining. Cedar Rapids’ recorded foreclosure activity in January 2014 was 1.97% compared to January 2013 when the foreclosure activity was recorded at 2.90%. Iowa City foreclosures also decreased in 2014 compared to 2013, specifically, by 0.74%. Financial trouble can be stressful especially when it concerns real estate. The attorneys at Hong Law, PLC, assist Cedar Rapids homeowners that face foreclosure. Call our offices today at (319) 294-5853 to speak with a knowledgeable member of our legal team. People diagnosed with cancer are more likely to declare bankruptcy compared to people without cancer, a study recently published in Health Affairs reported. A research group in Seattle found that cancer patients were 2.5 percent more likely to go bankrupt compared to people without cancer. According to Dr. Scott Ramsey, who led the authors of the study published on May 15, there is strong evidence to linking a cancer diagnosis and the increased risk of filing for bankruptcy. The study also showed that mostly younger and female cancer patients are the ones more likely to file for bankruptcy. This is due to other influences like existing debts and not having financial support to cover daily living expenses. Suffering from overwhelming debt can be frightening, especially if a person is faced with sudden health problems. At Hong Law, PLC, our attorneys can help you evaluate your debt relief options and choose a path that will get you back to financial stability. Learn more about your options by calling (319) 294-5853. When filing for Chapter 7 or Chapter 13 bankruptcy in Iowa, a person may be able to discharge, or get rid of, certain debts; however, there are also certain debts that cannot be discharged. A person who files for bankruptcy is responsible for paying back debts that can’t be discharged. Such debts include those dedicated to family support, like child support and alimony obligations. Debts from personal injury or death caused by driving under the influence must also be paid, in addition to fines and penalties for violating the law, tax debts, and any other debts that a person forgot to list in their bankruptcy papers. Discharging debts is a critical aspect of filing for bankruptcy in many cases. As such, it is extremely beneficial to understand what kind of debts you have that may be discharged. To better understand this facet of bankruptcy and discuss your debt options, call the lawyers of Hong Law, PLC, at (319) 632-1400. A medical student from the University of Iowa met with Governor Terry Branstad the last week of march to promote a plan that would be geared towards helping ease the burden of student loan repayment after graduating from medical school. 27-year-old Shady Henien, a fourth-year medical student at UI Carver College of Medicine introduced a proposal to Gov. Branstad that would utilize private sector investors to finance student loans, decreasing the overall cost of attendance for medical students, which is typically over $150,000. After graduation, according to the plan, students will repay investors in a fixed amount for a predetermined period of time with a 3.4 percent interest rate. This interest rate is half of what medical students paying off federal loans currently face. To draw investors, Henien has proposed providing tax incentives. Henien hopes to attract the strongest students to under served fields and areas without deterring them with the total cost of attendance of medical school. While this plan could help many medical students if it was to be instated, the reality is that many former students, including those who were not medical students, currently face mounting financial burdens. While filing for bankruptcy cannot get rid of federal student loan debts, it can help alleviate many other financial burdens a person faces. Thus, if you are in such a situation and need financial assistance, call (319) 632-1400 to explore your options with a lawyer from Hong Law, PLC. A long time Omaha-based Jewelry chain filed for bankruptcy and plans to close all of its nine stores, including a store in Des Moines, Iowa. Brodkey’s Jewelers, which has been around since 1880, filed Chapter 11 recently, claiming its stores are under-performing, and in order to pay creditors, they need to liquidate and sell their assets. Brodkey’s assets are between $500,000 and $1 million while its debts are figured to be between $1 million and $10 million. According to court filings, Brodkey’s already had pending court approval to hold sales with a liquidation firm. Brodkey has eight stores in Nebraska and one in Iowa. Brodkey’s was once cited as Retailer of the Year in 2006 by the Nebraska Retail Federation. As a business, sometimes filing for Chapter 11 bankruptcy is the best way to reduce your financial obligations. Contact our bankruptcy lawyers at Hong Law, PLC, at (319) 294-5853 to discuss how Chapter 11 bankruptcy can benefit you. On November 5, the Hawaii-based company, Big Island Carbon LLC, filed the necessary paperwork in order to seek Chapter 7 bankruptcy protection. 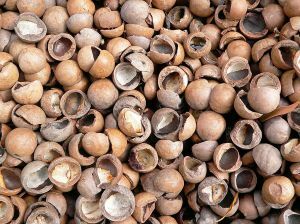 The company, which manufactures carbon from macadamia nut shells grown in Hawaii, has already laid off several employees, including the CEO of the company. The U.S. Bankruptcy Court documents show that the COO and the Controller of Big Island Carbon LLC were also let go amidst the bankruptcy filing. The papers indicate that the Big Island Carbon project grew to be too expensive, and the funds and grants that were coming in were not enough to fuel the plant’s production. The plant is near completion, and needs approximately $5 million more to be considered finished. A bankruptcy trustee that will be assigned to the Chapter 7 bankruptcy case of Big Island Carbon LLC will more than likely search for a buyer that is interested in the assets of the biomass plant. The buyer may also choose to finish the production of the plant in order to begin operations. If you are considering filing for Chapter 7 bankruptcy for your small business, please contact the Chapter 7 bankruptcy lawyers of Hong Law, PLC by calling 319-632-1400 today. Bakers Footwear, a national mall-based women’s footwear chain, filed for Chapter 11 bankruptcy today. The company plans to reduce costs after a year of slumping sales by shutting down up to 25 of its 218 stores. The company is nearly $60 million in debt while listing assets of close to $42 million. Bakers plans to reduce its operating costs by $7 million and raise $8 million through selling assets. In the meantime, it will focus on its own brand. Filing for Chapter 11 bankruptcy can allow a business to reorganize its debt while maintaining operations. If you feel like your business is digging itself into a financial hole, contact the Chapter 11 bankruptcy attorneys of Hong Law, PLC, at 319-632-1400. Last week, The Washington Post reported on an Iowa woman who is filing bankruptcy while being charged with 12 counts of mail fraud after borrowing more than $730,000 from friends and colleagues. For years, Beverly De Ronde, 60, sent her friends letters asking for loans that she promised to repay later. Under the belief that the money was going to be used for a big anniversary gift for De Ronde’s husband, her friends would loan her the funds. However, De Ronde instead spent the money on antiques, jewelery, and previous debts. Eventually, she mailed all of her lenders letters saying that she had been spending more than she could and that they should cease all contact with her. De Ronde is filing for bankruptcy protection, and her many debtors are concerned they will not be paid back. If De Ronde had not decided to fool her friends, commit federal crimes, and continue spending beyond her means, she could have filed for bankruptcy much sooner and avoided the current problems she is facing. If you’re struggling under crushing debts, don’t turn to a life of crime and deceit. Instead, turn to the personal bankruptcy attorneys of Hong Law, PLC. Contact us at 319-632-1400 to learn more about how we can help. Nearly six years after attorneys for the Davenport Diocese filed for bankruptcy, the Chapter 11 case has come to a conclusion. The diocese had to file for bankruptcy after settling cases of alleged child molestation at the hands of its priests. The $37 million settlement has been distributed among over 165 individuals. The church had to sell some of its land in its restructuring, but has since bought it back. The judge who presided over the decision said the diocese has followed its bankruptcy plan faithfully, but must continue being complicit with the non-monetary conditions outlined in the plan, including posting information about the accused abusers on its website. If your business is facing crushing financial difficulty, you may find relief in Chapter 11 bankruptcy. Contact the bankruptcy attorneys of Hong Law, PLC, at 319-623-1400 to learn more.